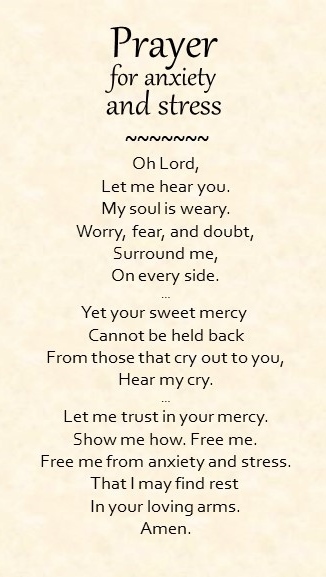 A simple prayer for anxiety and stress. Want to be free from anxiety? You can do it through prayer. Praying for you Dyamond. May the Lord keep and bless you. May he lift you up and give you strength. May his mercy and love free you and heal you. In Jesus name, Amen.